I. Who Needs Foot Levelers' Orthotics? Even if your feet don't hurt, they may be a major factor contributing to your health problems. A foot problem may be the cause of discomfort or pain in your leg, knee, hip, back, shoulder, or even your neck! Have you had a prior injury to your knee, back, or neck? 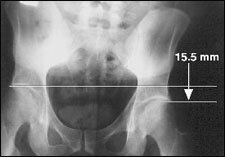 Do you have joint pain while standing, walking, or running? Do you have obvious foot problems (bunions, corns, flat feet, etc.)? Do your feet "toe out" when you're walking? If you answered "yes" to any of the above, Foot Levelers' custom-made, flexible orthotics may be part of the solution to your health problems. Foot Levelers' custom-made, flexible foot orthotics are scientifically designed for the individual's unique postural problems. Chiropractors know that orthotics help stabilize the feet, which helps level the pelvis, improve balance, and restore postural stability. 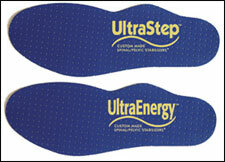 Chiropractors also know that several styles of Foot Levelers' custom orthotics -- and all styles of Foot Levelers' ShoethoticsÂ® and SandalthoticsÂ® -- help absorb damaging heel-strike shock, provide variable firmness, flexibility and control at midstance, and provide a propulsive "boost" as the body moves forward. At heel strike, a Zorbacel™ heel pad absorbs damaging heel-strike shock. At midstance, the StanceGuard layer provides variable firmness, flexibility,and control. At toe off, a pad of Propacel™ provides a propulsive boost, reducing fatigue. 1. Kuhn DR, Shibley NJ, Austin WM, Yochum TR. 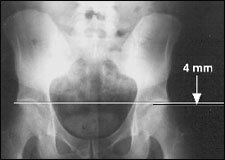 Radiographic evaluation of weight bearing orthotics and their effect on flexible pes planus. J Manip Physiol Ther 1999; 22(4):221-226. 2. Stude DE, Brink DK. Effects of nine holes of simulated golf and orthotic intervention on balance and proprioception in experienced golfers. J Manip Physiol Ther 1997; 20(9):590-601. 3. Austin WM. Shin splints with underlying posterior tibial tendinitis: a case report. J Sports Chiro Rehab 1996; 10(4):163-168. 4. Stude DE, Gullickson J. effects of orthotic intervention and nine holes of simulated golf on club head velocity in experienced golfers. J Manip Physiol Ther 2000; 23(3):168-174. 5. Northwestern College of Chiropractic. Summary of Market Research Findings: Surveys of Chiropractors and Patients. Bloomington, MN: NWCC, 1997. 6. ACA endorses Foot Levelers' orthotics. Dynamic Chiro 1996; 14(10):34. Full-length orthotics that work with the foot and support the skeletal system with each step. Comprehensive three-phase Gait Cycle System™ provides shock absorption, midstance support and control, and propulsive "boost." All the features of UltraStep, and includes the PowerCore™ Advanced Magnet System. Products with magnets not recommended for patients who are pregnant or wearing a pacemaker or electrical implant of any kind. Ideal for active lifestyles or jobs that require prolonged standing. Designed to give pro and amateur golfers a "performance edge." Shock-absorbing heel pads to reduce fatigue -- even after walking 18 holes. Firm, flexible design to support weight shifts as you swing. Built-in support to improve forefoot stability during follow through. TechCel Lite™ uppers to improve air flow and repel moisture. 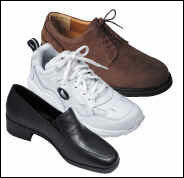 - Custom-made orthotic-and-dress-shoe for men and women. The custom-made orthotic-and-dress-shoe for women. Custom-made orthotic-and-shoe combination in one convenient and revolutionary design. Also available: Olympian P.C.™ with PowerCore Advance Magnet System. 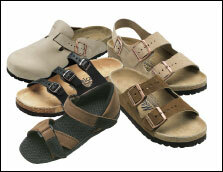 Foot Levelers has designed five different styles of Sandalthotics in a variety of colors. Each Sandalthotic includes the Gait Cycle System, and the PowerCore Advanced Magnet System is also an available option. Foot Levelers' pillows are the world's most popular cervical support pillows. They protect neck alignment and help restore the proper curve in the cervical spine, giving you the best night's sleep possible. Strengthen your neck and shoulders and improve your posture. Mounts easily over any door; requires no tools, screws, or other hardware. Adjustable height and resistance levels. Speed your way to a healthier back. Attaches to any door without screws or tools. Easy-grip handles and improved heavy-duty surgical tubing. Recover more rapidly. Variable resistance rubber tubing enhances joint stability, reduces risk of reinjury, and strengthens muscles. Attaches to any door without screws or other hardware. Ask your healthcare professional how Foot Levelers' products can help you!